It's Saturday! Man I am so glad this week is over. It hasn't been one of the best ones ever, here's to hoping the next one is better. I had originally planned on posting this last night, but life got in the way so here it is! I figured you wouldn't mind if I posted on a Saturday! Sidetone, I can't believe that it is going to be March tomorrow! Time is just flying by!!!! 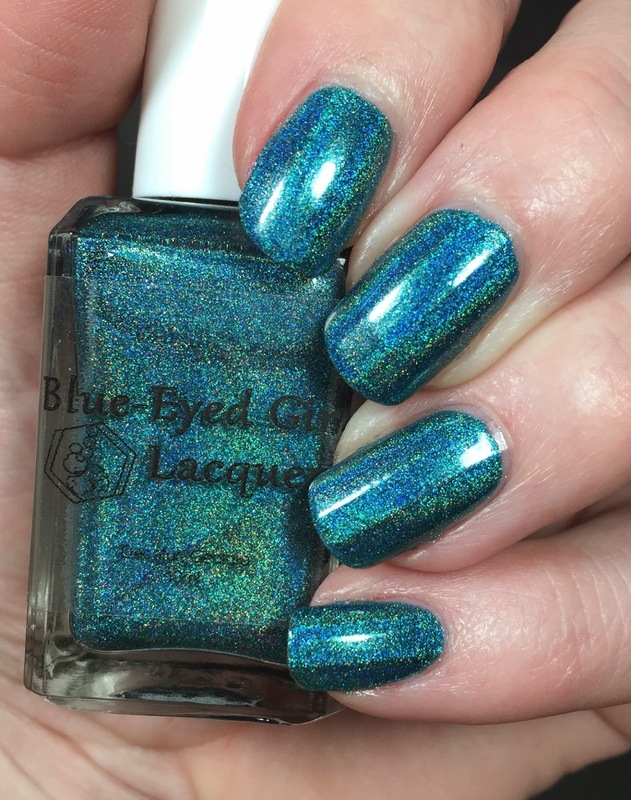 So today I have three more polishes from Blue-Eyed Girl Lacquer. I have Void Stuff, Newly Impassioned Soul and Siren's Holiday Soirée. Which are all available right now at http://blueeyedgirllacquer.bigcartel.com. Let's take a closer look shall we! First up is Void Stuff, and according to the site it is a "deep teal/green linear holographic with blue to red shifting glass flecks". 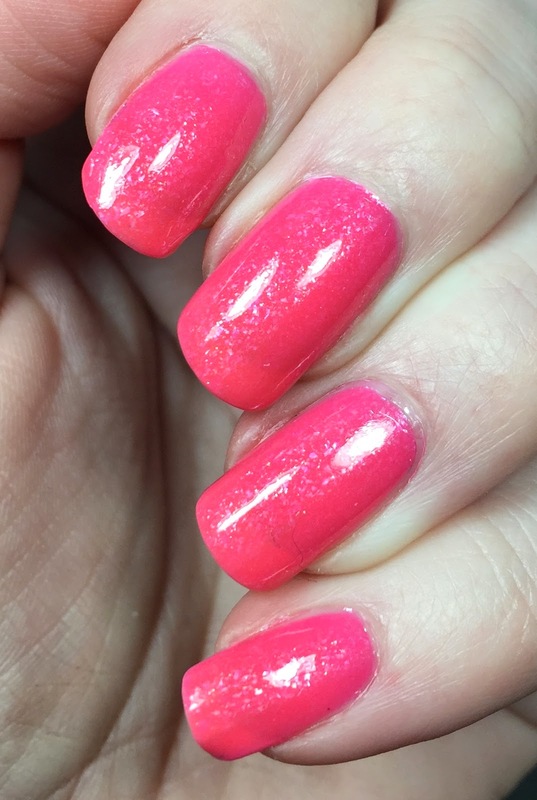 I used two coats here, they were easy to apply, and I topped it with Glossy Glam. 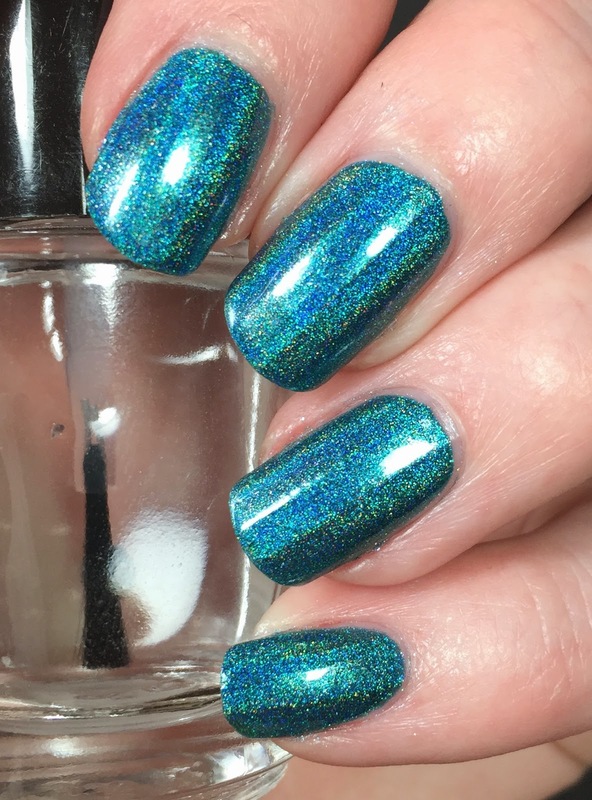 This mani wore for DAYS. I put this on before I left for vacation and I had it on for a long long time. 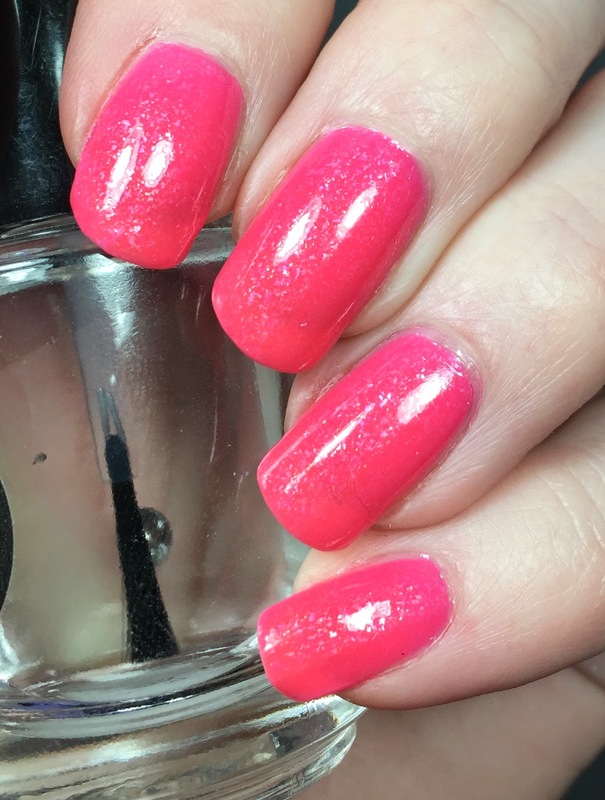 If you love pink, then make sure you get this one! This is Newly Impassioned Soul, the site says this is "a squishy hot pink crelly with green flakes". This does dry to a satin finish, but I have it topped with Glossy Glam here. 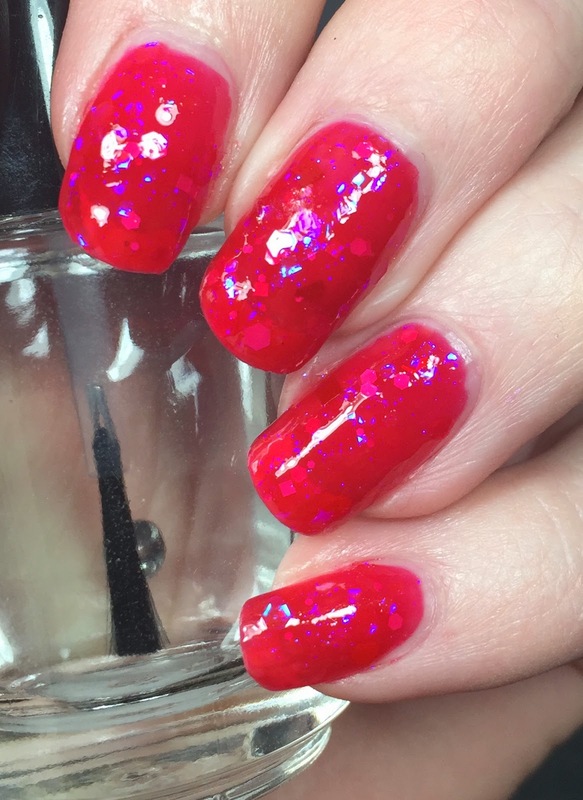 I used three coats of Newly Impassioned Soul in the photos below. I had no issues with application. If you purchase this or already have it in your collection, the maker says to store this in a dark place because the pigments can be sensitive to light. Last up is Siren's Holiday Soirée. This is part of the limited edition Siren line, so go snag this now while you can if you want this one! 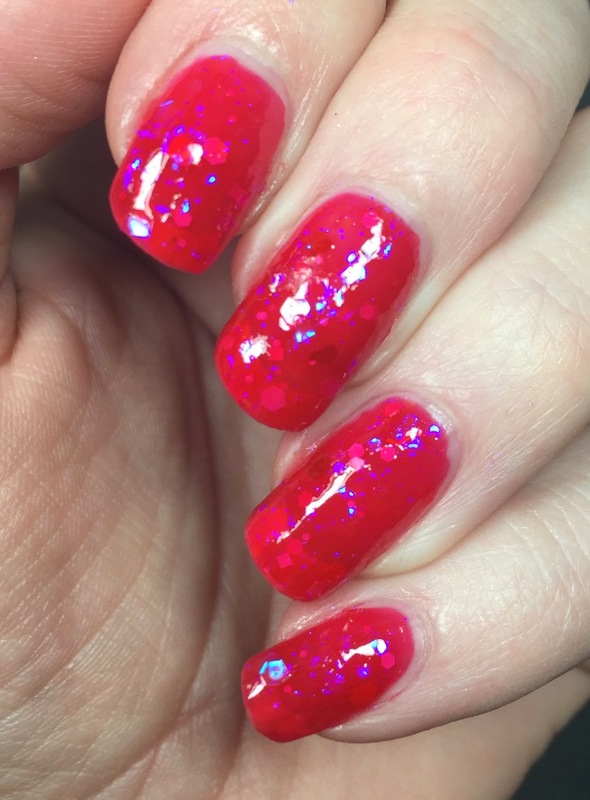 This is described as a "cherry red jelly, with purple-blue iridescent glitters and shreds, as well as matte neon pink, hot orange, and cherry red red glitters". 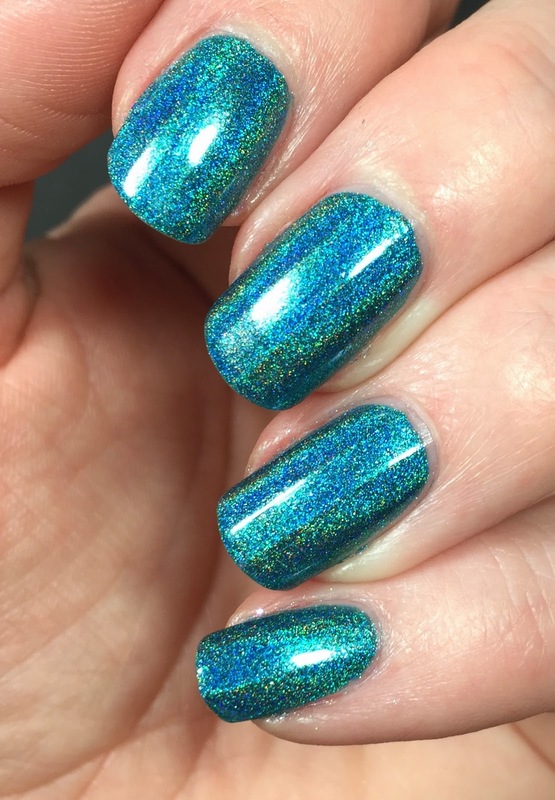 Even though this is a jelly, I only used two coats for the look here. Topped with my favorite Glossy Glam of course! 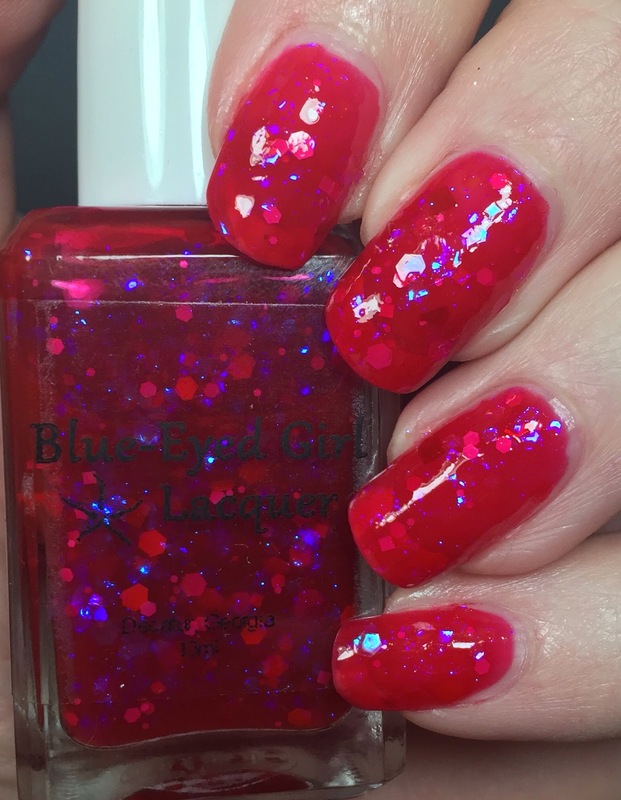 I have loved every Blue-Eyed Girl Lacquer (aka BEGL) I have. So creative and beautiful! If none of these tickle your fancy, there are plenty more up for sale (and preorder) that you may like so head on over! 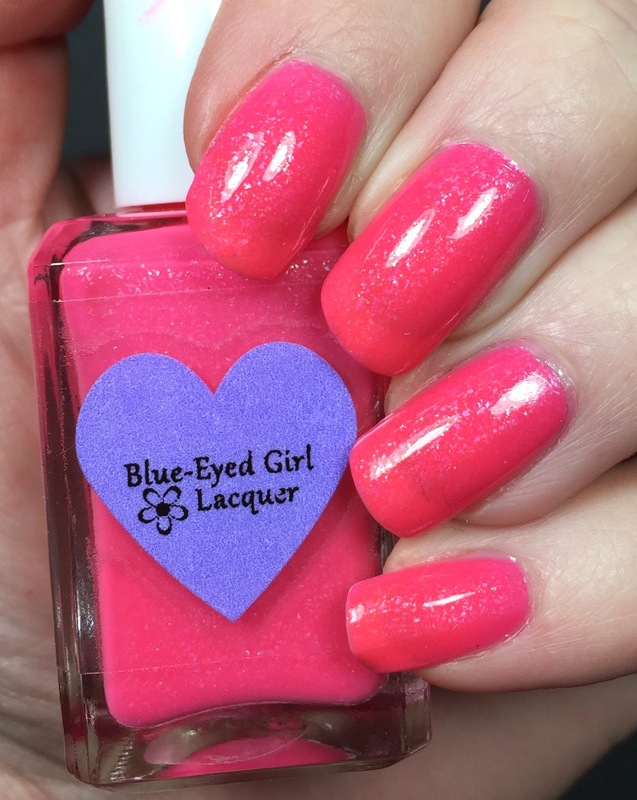 www.blueeyedgirllacquer.bigcartel.com | www.facebook.com/blueeyedgirllacquer | www.instagram.com/blueeyedlawyer | www.twitter.com/blueeyedlawyer | http://www.pinterest.com/wishesofablueey/beglove/ | Facebook group (BEGLove): inquire at beglovefb@gmail.com to be added to the vouching list. 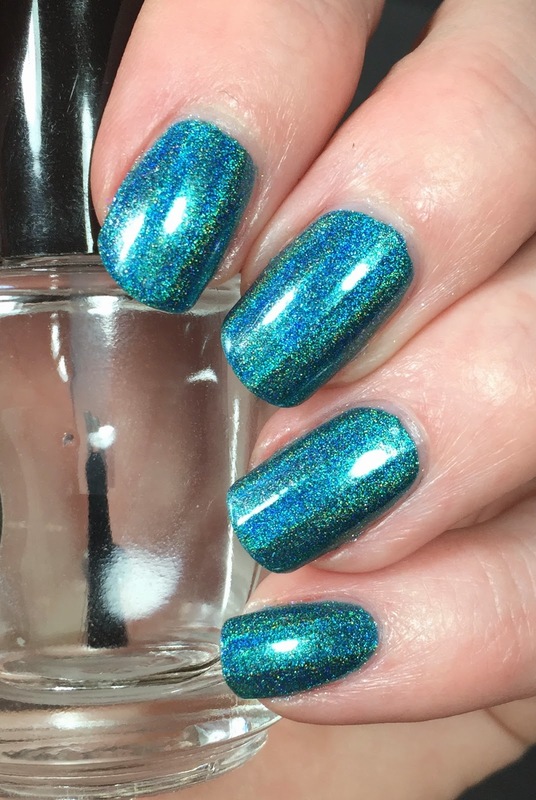 That first holo is just stunning! Wow. Void Stuff is my favorite, what a stunner!